Making the jump from tech to industry is a challenging one, but Adashek explains why he's glad he did it and what he thinks he can bring to one of Japan's most iconic brands. While both high-tech multinational organisations, Microsoft and Nissan seem to have little in common. 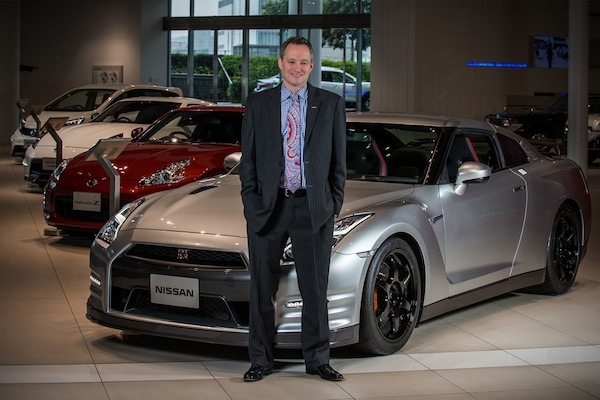 Indeed, when Simon Sproule made the jump from leading Nissan’s communications department to Microsoft in 2009, he was back in just seven months, saying he felt like a "fish out of water" at the software giant. But Jonathan Adashek’s reasons for leaving Microsoft for Nissan are different. 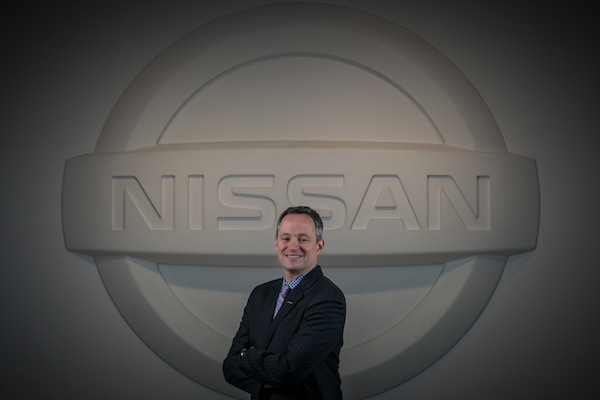 Having replaced Jeff Kuhlman in September 2015, he says he was satisfied with his work but attracted by a combination of "smart people doing amazing things" and the opportunity to help Nissan get the credit it deserves by telling its story better to the world. Adashek is new to the automotive industry, but brings a wealth of other experience to the table, including working on John Kerry’s presidential campaign and for the Clinton administration. A memory that stands out for him is supporting East Timor’s move to independence. The ability to convey information effectively, rather than deep specialist knowledge, is what Adashek says is important — an attitude some would probably disagree with. "If you’re a good communicator," he says, "you should be able to make the shift from industry to industry. I hadn’t been in tech before I joined Microsoft. I think there’s great benefit in having specialty in a [practice], say if you’re a crisis expert. "That’s how I’m trying to build the team here, in a way that there’s going to be a group of experts really helping drive our communications function." Adashek is responsible for the Nissan, Datsun and Infiniti brands. He has spent the first half-year in the job getting up to speed with the business and getting to know people. He says he is not one to issue decrees or make changes before having a clear understanding of the situation. "I’m a firm believer that if you come in and say you’re going to make all these changes without taking the time to learn, you’re destined for failure," he says. "It’s easy to dictate out to the field, but I’m not that one who has to live in that market. I have to count on our team of experts in the field. Something that resonates in the US may not resonate in Brazil." Adashek reminds us of something more leaders would do well to consider: that effective communications for a brand stem from thinking in terms of a "two-way street" and having regular conversations with people at all levels internally. It’s not a case of micromanaging, but being open and listening while giving people the freedom to do what they think is right. Broadly speaking, the improvements Adashek wants to make revolve around implementing "a broader campaign-like mentality". Coming from the world of American politics, he says thinking in those terms has helped give clarity to his work. That means even closer alignment of the communications and marketing functions, which already seem well-integrated at Nissan. "They are two separate functions but are incredibly close and aligned on the work we do. It’s no coincidence that the CMO [Roel de Vries] and I are next-door neighbours," Adashek explains. But the important thing is that we all understand that if we use a broader communications and marketing approach, we are going to go much further in our efforts." It all starts with staff involvement and interest though. "We can’t have a successful campaign if we can’t engage our employees on it," he says. "If they can’t engage, how do we expect the outside world to understand what we’re doing?" In terms of KPIs, Adashek says he is working to understand how communications can support business objectives more directly. When working on Walmart while at Edelman, he said he learnt a simple but important lesson: if something doesn’t help sell even one more product, it’s probably not worth doing. "So I make sure we’re working to tell a story that’s working to sell more products," he says. Nissan’s Media Center will remain an important part of this. He points to a statistic that "by 2019 90 percent of content on the internet is expected to be video-based. So that says to me right there the importance of the Media Center." Despite Volkswagen’s ongoing headache as a result of its emissions-rigging, Adashek doesn’t lose sleep over the prospect of crises. "I fundamentally believe there are not a lot of crises," he says. "There are a lot of issues, but few fully-fledged crises. I’m not going to talk about the competition. But if it’s something so significant that it affects your business, that’s a crisis in my view." When dealing with any issue, an external viewpoint from a third party counsel is extremely important, he says. "But the key is responsiveness. I’m not a fan of ‘no comment’." Consultancies Nissan works with include Ketchum, StrataComm, Teneo and Edelman. What he looks for most is proactivity, creative thinking and the ability to collaborate—all of which are tall orders, if we’re going to be honest. "There will be times when agencies are going to have to work with other agencies, and everyone’s going to have to play nice in the same box together. We’re all here for the same reason: the benefit of Nissan’s shareholders, customers and employees. "This is a key thing I’m going to be looking for. I’ve seen it be challenging but also very successful in some instances. If you’re explicit from the beginning, it can be successful."